Chose your own delivered Web sizes ! iMAGECLOUD is listening to your workflow requirements and from today your delivered campaigns have custom Web sizes available for every client. Set your clients personal preference of Web size images based on a selection of popular industry standards. Final print images uploaded to each of your campaigns will be automatically resized and stored to each of your clients preferences. The default NORI webs size is 800 x 600 but this can be updated at any time by changing the preferred size in your clients preferences. 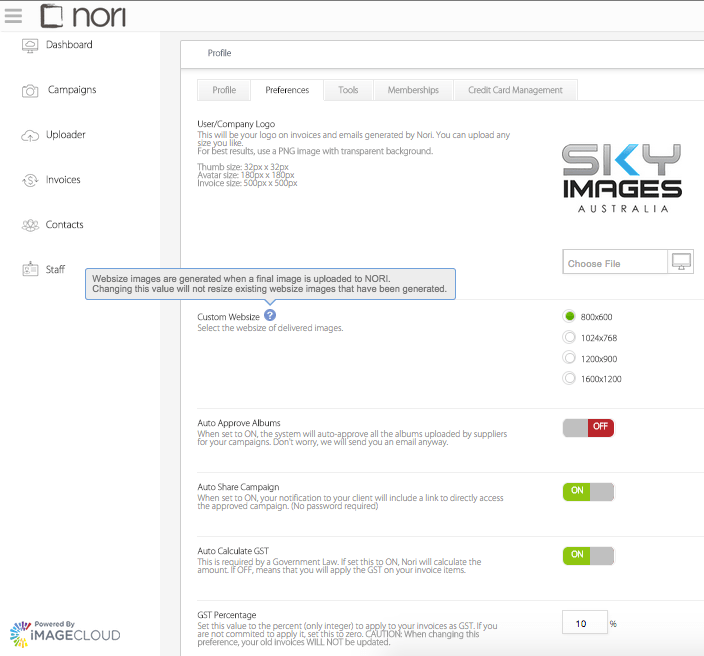 When images are uploaded to NORI, either by a member directly or by your choice of supplier, the final images will automatically be resized to each client’s individual Web sizes for quick and easy download. This Web size image will be available the same way it always has been, by double clicking a specific image and selecting ‘Web size’ or by downloading the selected album and choosing ‘Web size’. It’s important to note that if a Client is not assigned to a campaign when final iMAGES are uploaded, the Web size image will be resized to the photographers preferred Web size. If a campaign is then later assigned to a client the existing Web size images will automatically resize to their default web size in their preferences. 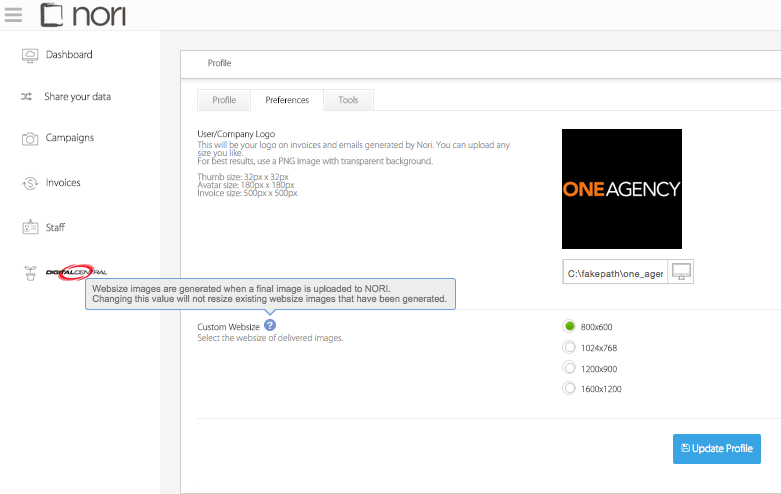 Also when you re-assign a campaign from one client to another the Web size images will be updated automatically ! As digital advertising revolutionises property marketing, new display technologies are rapidly changing the delivery requirements of property photographers. iMAGECLOUD is here to help you deliver !